Fees associated with filing patent application in Tajikistan as well as other patent fees are available in the fee calculator. The official language of proceedings in Tajikistan is Tajik or Russian. If the application materials are provided in any other language, the translation into Tajik or Russian should be provided within three months from the date of filing the patent application in Tajikistan. The priority application should be provided to the Tajikistani Patent Office within three months from the filing of the application. The substantive examination should be requested within three years from the filing date of the application. Extension or restoration of this term is not possible. The applicant may amend or correct the application before the decision to grant a patent is issued. The application may be amended without any official charges within three months from filing. Official fees should be paid within 2 months from the date of receipt of the decision to grant a patent. The first post-grant annuities starting from the 3rd year must be paid within said term as well. All subsequent annuities are counted starting from the filing date and are paid before the beginning of the next year. Foreigners should perform the patent prosecution in Tajikistan through an agent, a registered Tajikistani patent attorney. 2. 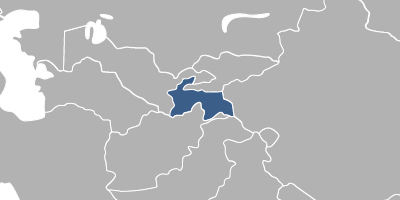 The patent protection in Tajikistan may also be obtained via Eurasian Patent. 3. Registration of a petty patent based on formal examination results is possible under the Tajik legislation.